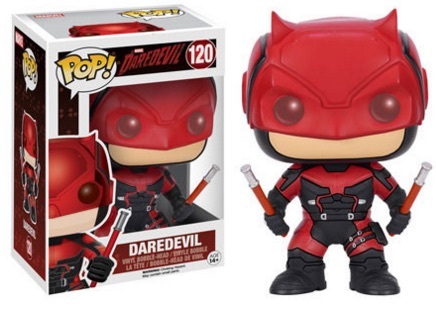 Although the Daredevil character from Marvel has been covered in several different formats, Funko Pop Daredevil tv covers the Netflix Daredevil series. 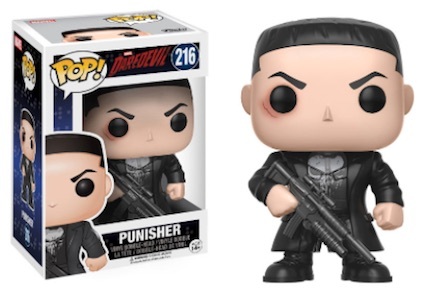 Collectors can find a handful of figures for the show, including several for the titular subject and his alter ego. 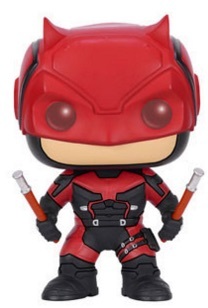 Telling the story of a blind lawyer by day who takes on the Daredevil persona to fight evil at night, the initial line includes four figures. 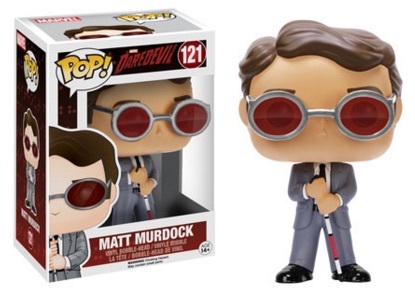 Matt Murdock, the unlikely hero, is featured with red-tinted glasses and a white cane. 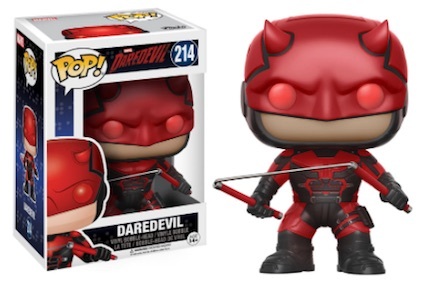 There are also two figures for his more formidable version as Daredevil. 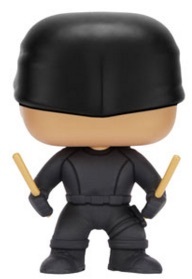 Clothed in all black, the Masked Vigilante version is joined by a red-and-black option. 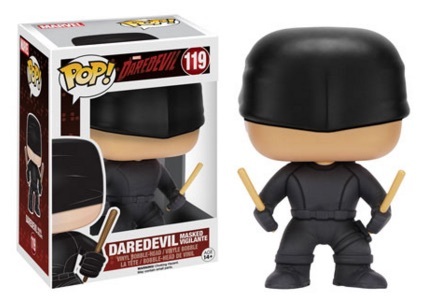 Lastly, Wilson Fisk (aka The Kingpin) assumes the role of the main adversary. 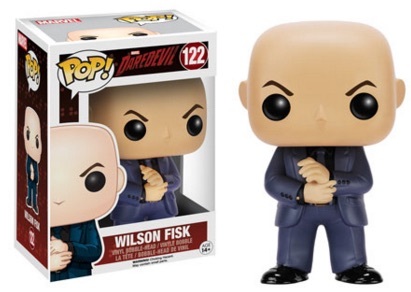 The Fisk figure is notably leaner than one might expect. 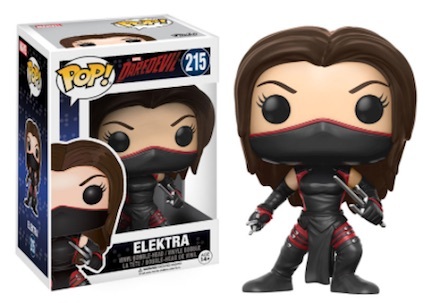 Additional choices for Funko Pop Daredevil came later with a new Daredevil figure sporting his billy club in nunchuck form along with the Elektra debut in the television line. 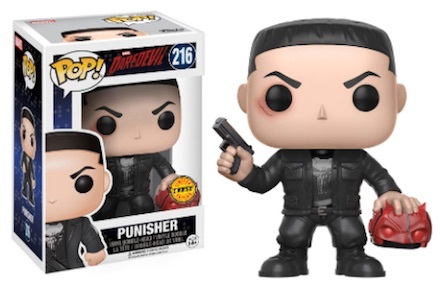 Collectors can also fine a pair of Punisher figures led by a chase variant holding the Daredevil mask.